The Christian World Missions headquarters is located in Starkville, MS and although we minister across the United States and around the world, we also feel that it is important to be involved in the spiritual growth of our local community. Our facility is a 10,000 square foot building with a conference room in which Bible studies, prayer meetings and organizational meetings are held. Approximately 7,500 square feet of our facility is being transformed into a worship and event center. 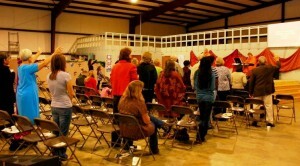 Intercession for India, a worship and prayer event, was one of the first events held in the revamped warehouse. Ice Cream and Intercession for Africa was held at the CWM facility in Starkville on May 19th, 2012. This event featured a concert of prayer led by Lee Ann Williamson and Lori Smith and a message by our Ghanian evangelist, Joseph Otsin. 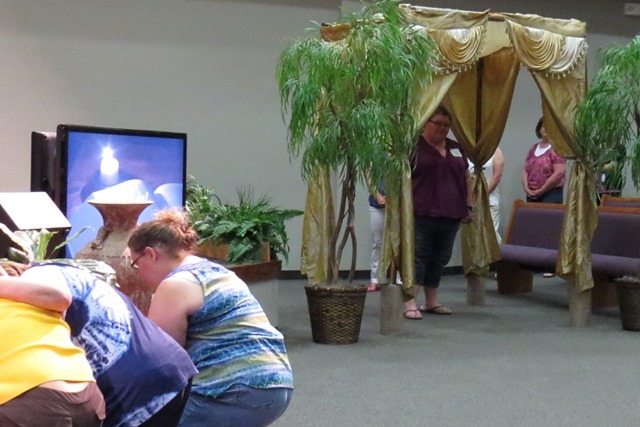 In April 2012, we had the FaithLift Women’s Retreat, When God Ran, in Starkville, MS as well as sites in Missou ri and Ohio. FaithLift is a weekend (Friday evening and Saturday) or evening (Thursday and Friday evenings) women’s retreat filled with fellowship around the table, music that touches the heart, teaching sessions grounded in the Word of God, personal testimonies of God faithfulness and a time of prayer and seeking. It is a great opportunity for personal renewal or to share the hope of Christ with another. The theme for the 2013 Women’s Retreat is My Beloved and events began in June. During My Beloved, we unfold the Truth of God’s Word through the view of an ancient Jewish wedding and be reminded of His love for us and our true calling as women of God. Contact us if you would like to book this or another of our women’s conference programs at your church. Christian World Missions’ staff preaches revivals, teaches at conferences and provides concerts throughout the year in our local area as well as participating in the ministries of our local church body. Check our Ministry Events page frequently for upcoming events. We would love to come to your church for a renewal event, women’s retreat, or to share about the work of missions. Please contact us to begin the process of scheduling.